Click here to view the 2017 show magazine online with schedules and booth directory! These seminars are presented by operational meteorologists from the National Weather Service Forecast offices in Seattle and Spokane, Washington, Portland and Medford, Oregon, and the National Weather Service Unit co-located with Seattle ARTCC. 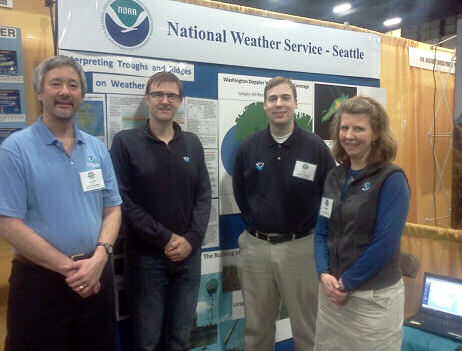 Presented with the support of the National Weather Service! Thank you! How many times have you been flying and encountered a weather hazard you simply weren’t expecting? Or perhaps you were expecting it, but conditions were better, or worse, than forecast. Did you wonder to yourself if some- body else had own through that same hazard but failed to pass it along to the controllers working the sector? Pilot reports of weather conditions in flight are used by many agencies and industries to provide timely, relevant, accurate and consistent aviation weather services to enhance the safe and efficient operation of the National Airspace System. However, many times those reports don’t make it to the rest of the aviation community. Sometimes it’s due to an error in the dissemination system. Other times it’s because the report is treated as if it’s proprietary and not shared outside the local operations environment. This seminar on pilot reports will discuss these issues, and more, and will provide an outline of what elements go into a PIREP and how to properly organize and submit a PIREP. The seminar will also provide attendees with resources to help become Weather Ready. Summer time convection will often times develop into thunderstorms that are capable of producing dangerous lightning, large hail, damaging winds, and, in rare cases, tornadoes across the Inland Northwest. Large hail and damaging winds are usually the primary threats with severe thunderstorms early in the summer then transition to more damaging wind producing storms as the area dries out at the end of the season. Strong convective events from late July to early September have produced vast squall lines producing walls of dust that travel hundreds of miles across the Columbia Basin. All of these hazards will be discussed as well as how to better prepare for upcoming convective events by utilizing ground observations, upper air soundings, and satellite and radar data. Steven Van Horn is a California native and has a Master’s Degree in Atmospheric Science from the University of California Los Angeles (UCLA). His National Weather Service career began at the Los Angeles/Oxnard office as a Student Career Experience Program (SCEP) student. He was hired on as a Meteorologist Intern at the Spokane Weather Forecast Office in January of 2009 and then promoted to a Journey Forecaster in May of 2012. Steven has completed numerous projects aimed in improving forecast accuracy and severe weather operations through postmortem event analysis. Seminar covers the causes & factors involved in aircraft icing, along with the types of icing & impacts on aircraft. Dodd will discuss ways to avoid icing in the air, and self-briefing tools available on the internet so that you will be aware of any potential for icing before you make a flight plan. This presentation is intended for pilots, & those with an interest in aviation & aircraft icing. Dodd has been with the National Weather Service for 9 years, with 4 additional years of experience in the private sector. Before starting at the Seattle Air Route Traffic Control Center, he was Aviation Focal Point at the Eureka, California, forecast office. Alex was born and raised near Rochester, NY, and graduated from Brockport State in 2003. This 1.5 to 2 hour seminar focuses primarily on weather theory and meteorologist weather jargon that would be helpful to a pilot in making greater sense of the Area Forecast Discussion. The Area Forecast Discussion (AFD) is a unique blog-like current and forecast weather discussion prepared four times per day by each of the 122 NWS Weather Forecast Offices across the U.S. The seminar focuses on basic weather theory about fronts and their connection to upper level troughs, and how to find them on weather forecast charts. Some of the weather jargon explained includes the significance of onshore/offshore flow, pressure gradients, the various computer models used in forecasting and referenced in the AFD. Allen Kam has been a meteorologist with the National Weather Service for over 30 years, with the last 25+ years at the Seattle Forecast Office. He has been the Aviation Focal Point the entire time in Seattle as well as the liaison with Seattle Flight Service until it closed in January 2010. Allen earned his private pilot license in 1983 at Boeing Field and has managed to keep flying ever since. He received a B.S. in Atmospheric Sciences from the University of Washington in 1984. 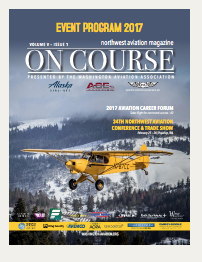 Each February 10,000+ aviation enthusiasts all meet in the Pacific Northwest to share, learn and create connections at the annual conference & trade show. 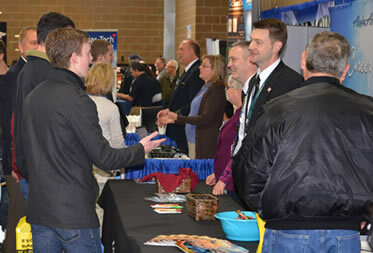 Covering 122,000 sf this event is everything aviation – in its 32nd year it gains momentum annually – getting better & bigger!